Grinding your own gluten free flour is not difficult if you get right down to it. All you need is a grain mill (check out our product reviews on some superb machines) and the raw ingredients. While buying a grain mill may be expensive up front, long term you will save money. And the taste will be comparable to eating a tomato straight from the garden. Here is a recipe to get you started. You only have to mill two ingredients: organic brown rice (which you can easily pick up from the store) and organic small white beans (purchase here) or sorghum grain (available here). If you plan on using this blend frequently, consider doubling or tripling it to save time and effort. You can do this! Yields 4 Â½ cups. Store in freezer for best results. There, that wasnâ€™t so bad. 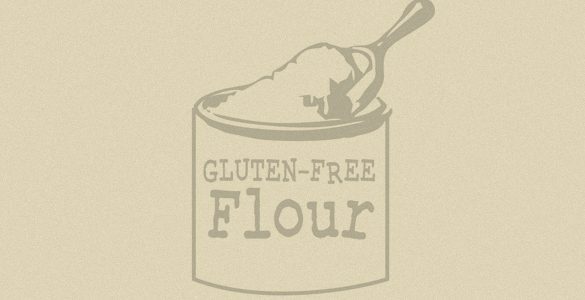 Your freshly milled blend is ready to use in your favorite Soft Gluten Free Chocolate Chip Cookies, Gluten Free Vanilla Cake Pops, and Gluten Free Cherry Bread Loaf! Â If youâ€™re ready for an extra challenge, consider grinding all of the flours in our Ancient Grains Blend.